The unwritten rules seem to be taking a place of prominence in the American media landscape right now. If, as I suspect, the reason many old-timers talked to us for The Baseball Codes was that they didn’t want to see the Code fray any further than it already has in the modern game, they must be delighted with this turn of events. ESPN’s Jerry Crasnick recently discussed a handful of rules with three prominent pitchers from the 1970s: Jim Palmer, Bert Blyleven and Goose Gossage. There are some terrific stories in the article, but seeing them in such a truncated format makes it strikingly clear that they must all eventually come around to one thing: retaliation. 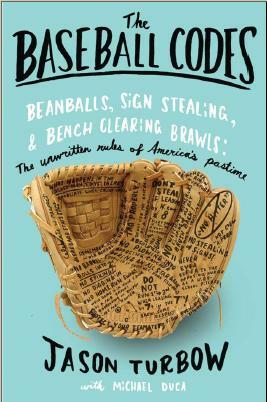 No matter what the offense—showing up a player, stealing signs, peeking at pitches, etc.—the stories that illustrate them are inevitably punctuated with baseballs aimed at ribcages. The same held true for the vast majority of the stories we elicited from players. It’s why the retaliation chapter is the book’s biggest. That’s the beauty of the Code (especially when the interview subject is a pitcher): the concept of making sure violations don’t happen again on your watch. Update: Ex-Houston Astros All-Star and current baseball blogger Morgan Ensberg has posted an interview with himself in which he addresses many of these issues from a hitter’s standpoint. I’m totally confused. There seems to be contradictions all over the place with these “rules”. Players talk about being “competitive” and doing what it takes to “win” and yet they “honor” pitchers by taking pitches after back-to-back homeruns and by not stepping into the dirt “cut-out” around home plate to take a look at pitchers warming up. Relievers throw only fastballs to other pitchers in the opposing line-ups…but… noone helps a defensive player risking injury going after a foul ball into a dugout area. Please help me understand the logic. The unwritten rules are primarily about respect. Respect a struggling pitcher by taking the first offering he gives you after back-to-back homers. Respect a pitcher’s territory by not walking over his mound, and your own territory, by not going into the batter’s box before your tie. Respect other relievers because if they’re hitting, it’s likely that it’s not a tight score. Respect a pitcher throwing a no-hitter by not bunting to break it up. But all of this is trumped by the win column, or at least the chance to get there. If a player can help his team win with a well-timed bunt, that’s entirely acceptable. Propping up an opposing player from the dugout so he can make a play is not in the best interests of your team winning the game. Steal all the bases you want, up to the point that the game is no longer in question. Winning first. Respect second. It’s as simple as that.